High-Volume Production & Substrates Up to 16" x 16"
A production printer capable of printing substrates or boards up to 16" x 16" (406mm x 406mm). 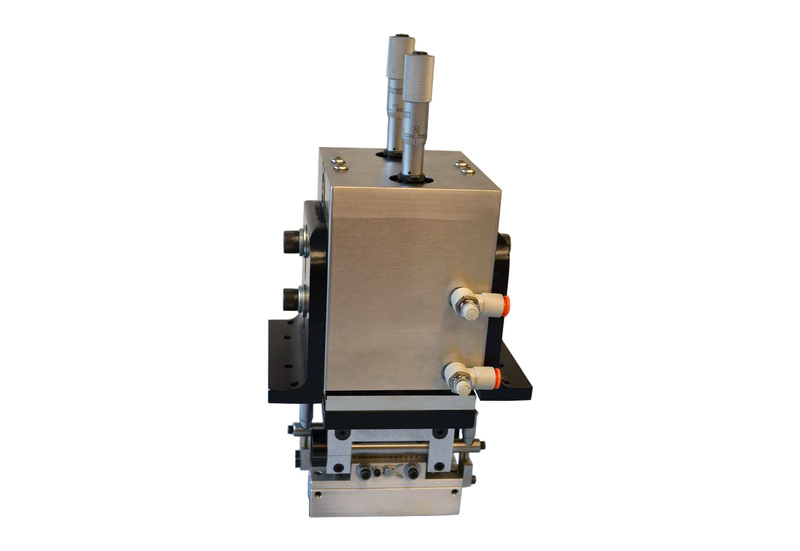 A flexible production printer mounted in a rectangular frame with a reciprocating substrate carriage. 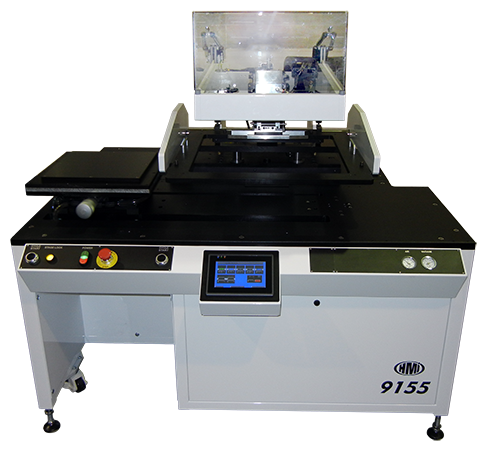 The MSP-9155 is a semi-automatic screen printer designed for large area print applications that require a high resolution, reliable result. The MSP-9155 is the next step up in the precision screen printer industry. 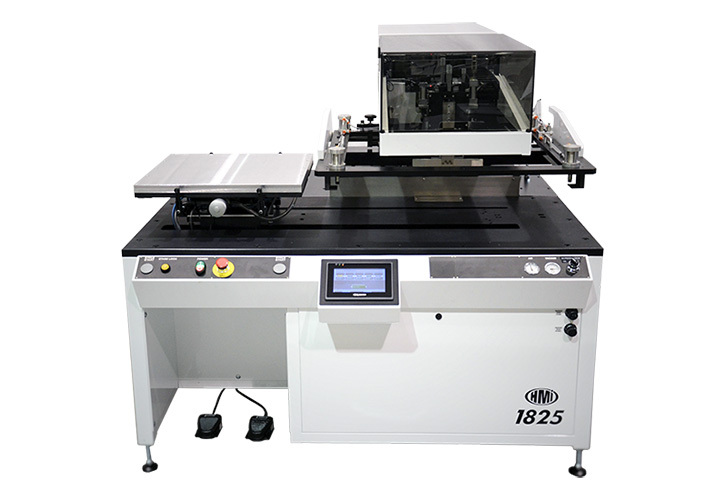 Its ability to accommodate the larger 20×20 screen frame without sacrificing registration or print quality make it an integral part of the large area, small tolerance production and developmental electronic assembly industry. 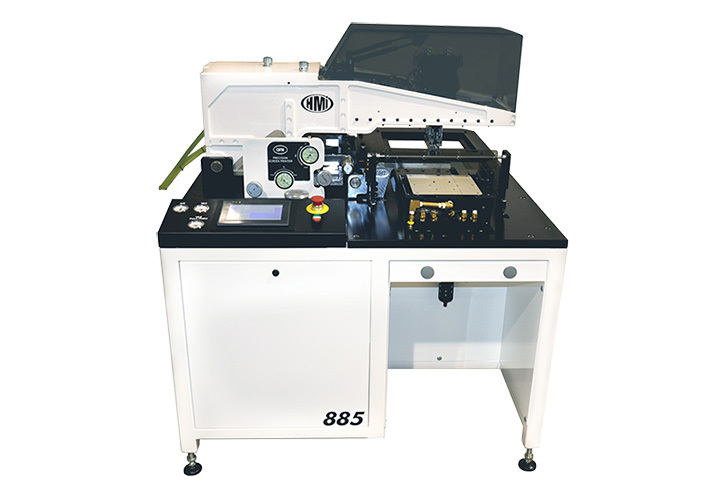 The MSP-9155 has a manually adjustable stage for holding, locating and aligning the substrate for print. The stage offers precise incremental changes in "X", "Y" and "T". The "T" or theta axis is a true rotation about the center of the stage. This allows for rotational adjustment without affecting the X and Y position settings. 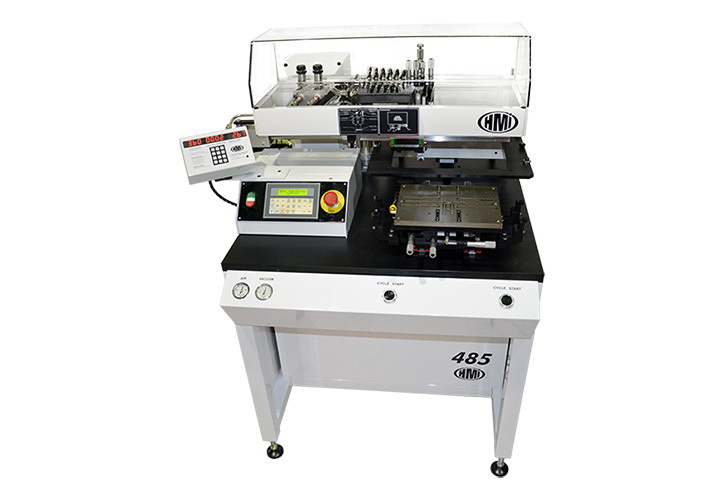 The printer can be customized to accommodate large area LTCC, wafer fabrication, PCB and flexible substrate production. The MSP-9155 is managed by a programmable logic controller (PLC) processing system. Various printer functions can be selected and set using the PLC interface. Other printer setup adjustments can be made manually where incremental, repeatable and lockable controls are provided. 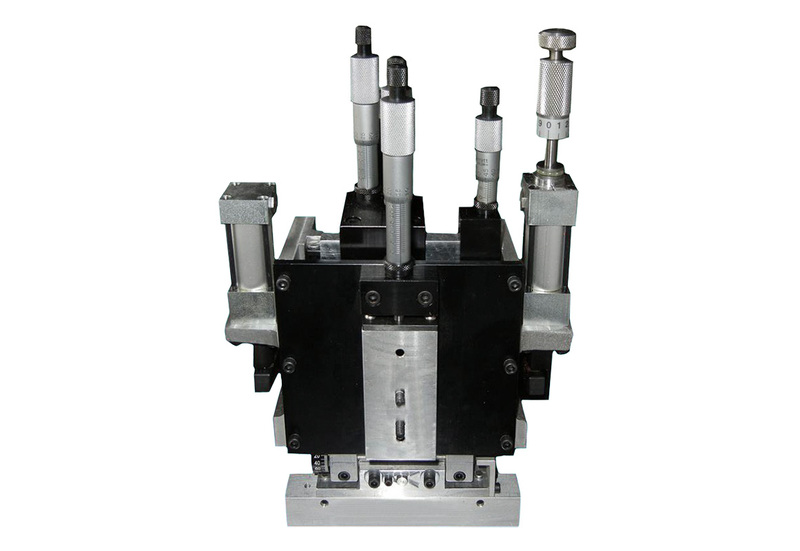 Custom designed hold down and tooling is available. The printer can also be fitted with a manual vision system.